Dr. Sarah Waddell was raised in Stonewall, Louisiana. She received her Bachelor’s degree from LSU and graduated from Louisiana State University School of Veterinary Medicine in 1999. Dr. Sarah Waddell worked for six years practicing emergency medicine and critical care in Shreveport and Lafayette. During that time she also worked in general practice for multiple hospitals in Shreveport/Bossier and Lafayette area as a locum doctor. From 2005-2014, Dr. Sarah and Dr. Clint owned the Banfield Veterinary Hospitals in Shreveport and Bossier City as charter franchise owners.. After selling the Banfield franchises to the parent corporation in January 2014, they began Provenance Veterinary Hospital that was opened in October 2014. 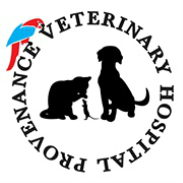 She is a member of the American Veterinary Medical Association, Louisiana Veterinary Medical Association, and The Veterinary Endoscopy Society. Dr. Sarah enjoys running, swimming, travel, and spending time with her 3 children. William Clint Waddell; M.S., D.V.M., C.T.C.V.M.P., C.C.R.P., C.T.P.E.P. Dr. Clint Waddell was born and raised in New Roads, Louisiana. After completing his Bachelor of Science and Master of Science degrees from Louisiana State University, he graduated from The Louisiana State University School of Veterinary Medicine in 2005. Dr. Waddell is the only certified integrative veterinary medical practitioner in the Shreveport, LA area. 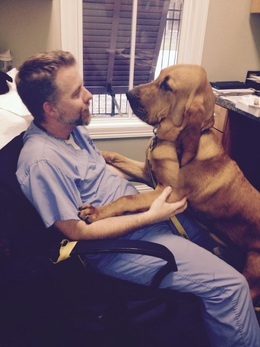 He has completed advanced veterinary training and certification in Rehabilitation Medicine and is the only veterinarian in North Louisiana trained and certified in all branches of Traditional Chinese Veterinary Medicine (TCVM). Dr. Waddell completed his Certification in Canine Rehabilitation Practice (C.C.R.P.) from the University of Tennessee. Additionally, he received his Certification as a Traditional Chinese Veterinary Medical Practitioner (C.T.C.V.M.P.) by earning certifications in Veterinary Acupuncture (C.V.A. ), Veterinary Food Therapy (C.V.F.T), Veterinary Chinese Herbal Practice (C.V.C.H.) and Tui-Na (Chinese medical manipulation) (C.V.T.P.) from the Chi Institute in Reddick, Florida. Additionally, Dr. Waddell is certified as a Palliative and End-of-Life Care practitioner (C.T.P.E.P.) from the Chi Institute in Reddick, Florida. His medical interest is Integrative Medicine, combining options in traditional Western Medicine (including regenerative medicine) with those of Eastern Medicine to provide the best care and quality of life for your pet. Dr. Clint enjoys traveling and has been fortunate to volunteer as a veterinarian with the International Mission Board and the Christian Veterinary Mission on several mission trips to Africa, Asia, Europe, and Central America. Dr. Clint is also interested in World War II history and has had the opportunity to tour many historical sites throughout Europe. Dr. Clint enjoys reading, travel, swimming and spending time with his children William, Hannah, and Whit. Dr. Waddell is a certified swim official for USA Swimming. He and his wife, Dr. Sarah, have 3 Bloodhounds, 1 Bassett Hound, 3 cats and a flock of chickens.